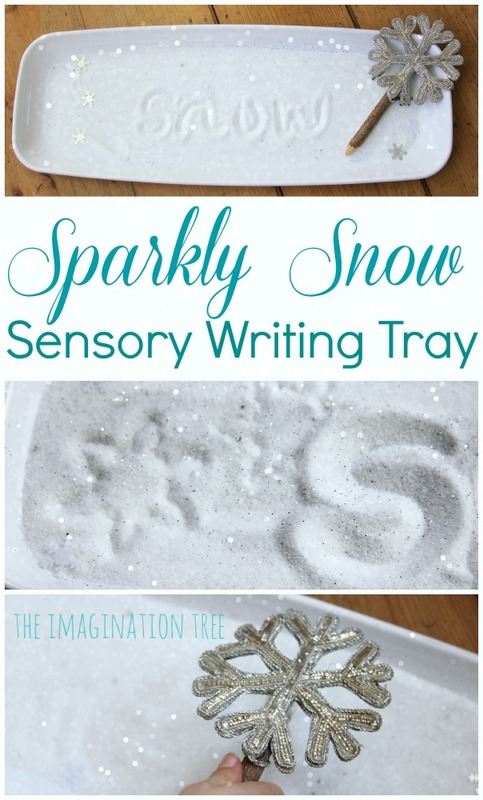 Create a sparkly snow sensory writing tray using two simple, everyday materials for an exciting literacy activity for kids! Happy new year! 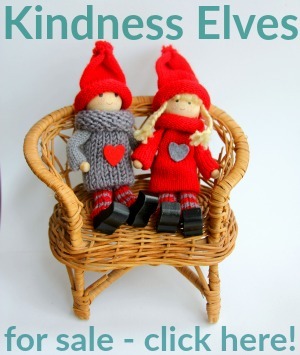 May it being lots of play and creativity to you and yours in everything you do! 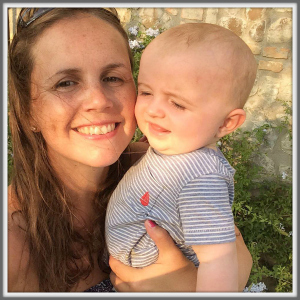 We are expecting baby number 4 in two weeks and the girls are busting with excitement for their “best present EVER” that is soon to come. 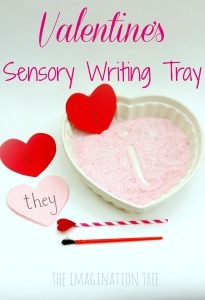 In between some of the holiday craziness that is Christmas and new year, we made another sensory writing tray to practise some sight words and letter formation. 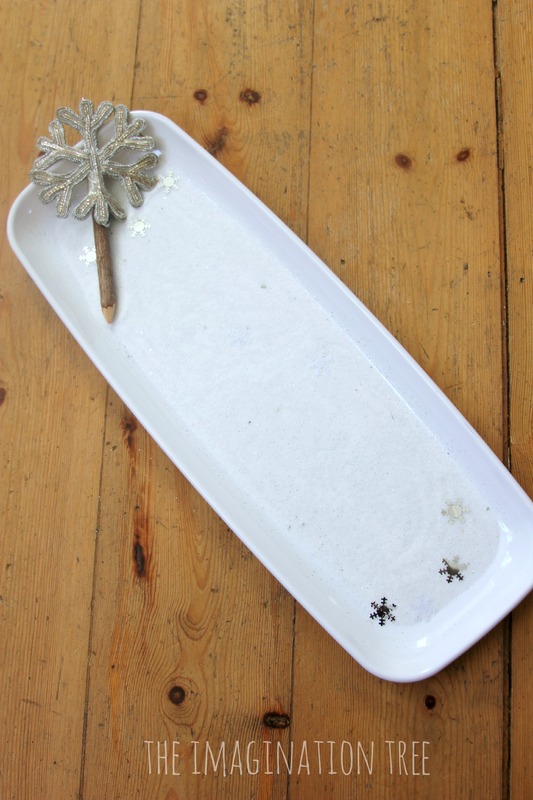 This time we made a sparkly snow sensory writing tray, using a beaded Christmas tree decoration tied to a natural pencil to create a special snowflake writing tool, which they particularly loved using! To create this sparkly snow we simply poured some fine white salt into a white snack tray (a couple of £s in Sainsbury’s party section) and then sprinkled over lots of white iridescent glitter, which made it sparkle wonderfully. 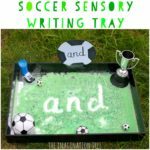 These narrow, horizontal trays are particularly good writing and mark-making trays as they allow for longer words to be formed and therefore are less frustrating for the child. Miss 4 practised forming her name with the correct sequence of movements, as well as her letters and some simple, CVC and common sight words. I called some out for her to try, as well as her copying some words from the environment too. 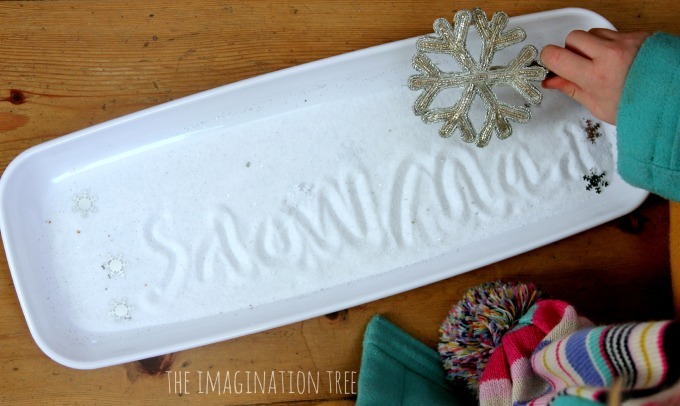 Miss 6 wanted more challenging words to try out and enjoyed writing seasonal words such as “snowman”, “christmas” and winter” in the sparkly snow tray. 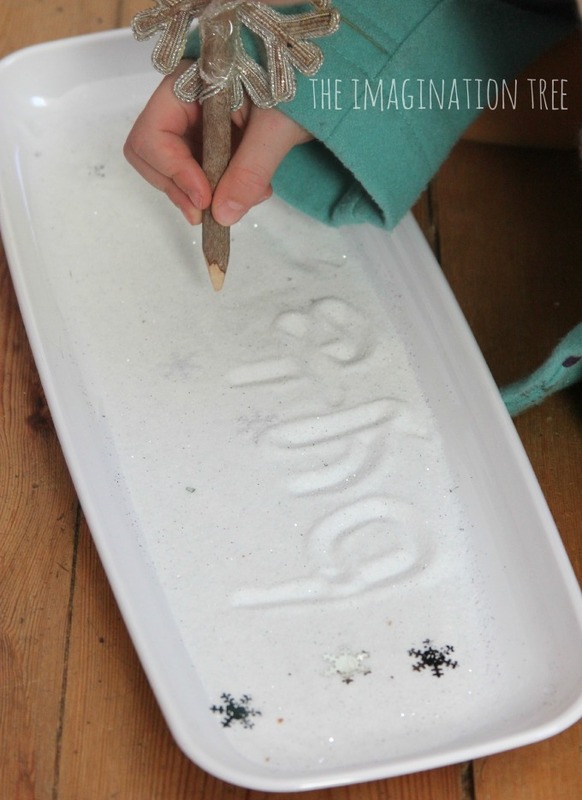 Miss 2 enjoyed using her fingertips to feel the texture of the salt in the tray and let it run through her hands. 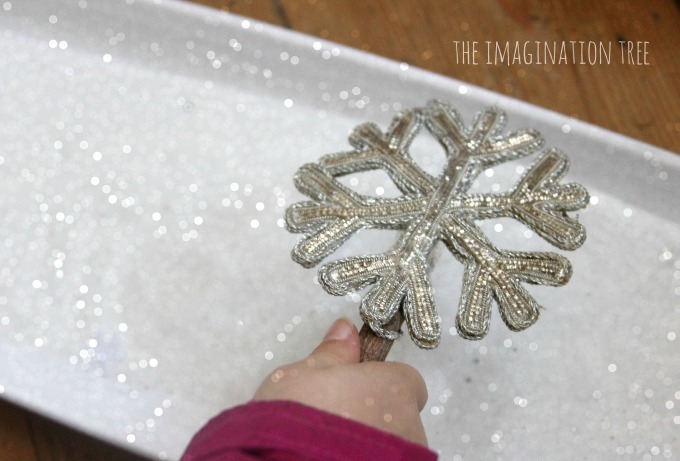 With the snowflake writing wand she created lots of marks, especially loopy zig-zags and circles. She now uses letter-like strings to represent her own name and is keen to point out that it’s her “writing” and not a drawing. We have left this out on the side for them to come back to and use for the past few weeks, and it has been a popular place for them to stop and play. 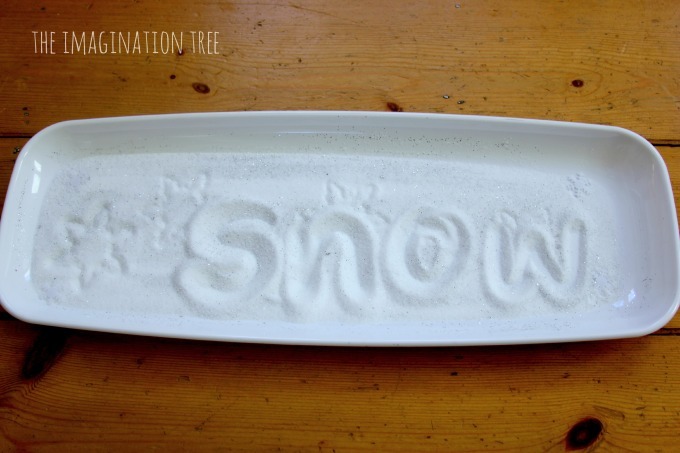 When it is finished with we can simply store the sparkly snow in a zip-loc bag and use it again at a later date, as it will last indefinitely. 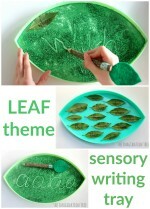 See all our other LITERACY PLAY ideas here! 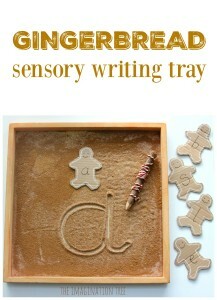 Follow our PLAYFUL LITERACY pin board here too. 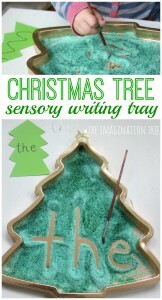 Follow Anna @ The Imagination Tree’s board Literacy Play Ideas on Pinterest.